Overuse, or medical care that provides no benefit to the patient, is rampant in our health care system. At least 20% of the money we spend on health care is wasted – more than $700 billion dollars a year – and unnecessary care is a major contributor to this waste. In my own specialty of otolaryngology (ear, nose, and throat conditions), there is one procedure in particular that has been done unnecessarily on millions of patients and wasted tens of billions of dollars over the past few decades, with no evidence it even works for most patients. This overused procedure is endoscopic sinus surgery (ESS). 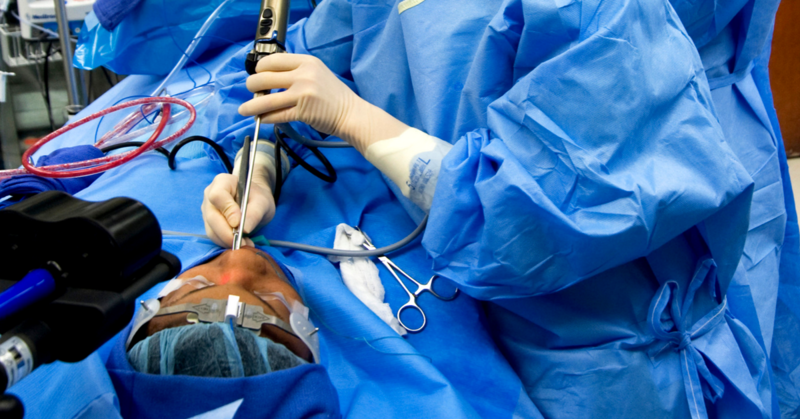 Endoscopic sinus surgery has been done unnecessarily on millions of patients and wasted tens of billions of dollars. As with many overused medical tests and procedures, ESS became popular due to a perfect storm of financial incentives, promising technology, and bad science. I present this example of overuse, not just to discourage this unnecessary operation, but because it so clearly demonstrates how well-meaning, highly-respected doctors and medical institutions can succumb to the perverse incentives in our broken health system, at the expense of patients. Otolaryngologists are constantly searching for ways to alleviate the pain of sinus infections, a condition that affects between 10 – 30% of Americans each year. Bacterial sinus infections happen when sinus passages become obstructed, bacteria multiply, and the sinus chambers fill up with pus under pressure (sorry for that imagery). These sinus infections usually clear up on their own or with antibiotics, but for the occasional resistant cases, sinus surgery is used to re-open the small air passages. 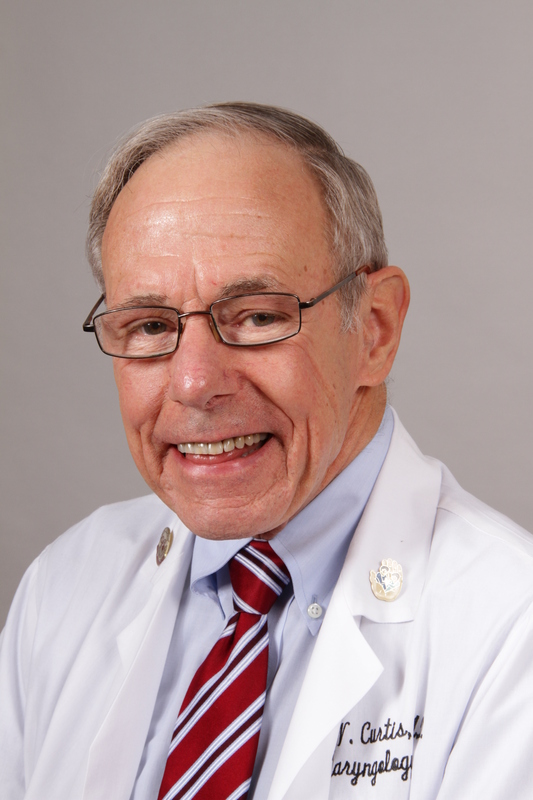 In 1985, when I was an otolaryngologist and faculty member at Northwestern University, endoscopic sinus surgery had just come to the US from Austria, and represented a great advance over older operations. Working through the nostrils with a surgical telescope, surgeons could avoid facial skin incisions, making the procedure much less invasive. Just as everything appeared to be going well for sinus surgery advocates, other medical advances were threatening to render sinus surgery rarely necessary. A few years into the ESS boom, otolaryngologists like myself learned to treat difficult sinus infections with antibiotics targeted against anaerobic bacteria. Shortly after that, we learned to open up the sinus passages pharmacologically with a short course of a high dose of an oral glucocorticosteroid such as prednisone. By 1995, with these two new tools, almost no one needed surgery for sinus infections. Otolaryngologists proclaimed a new disease to justify using this operation on more patients. But once a procedure has been taught and popularized, it is very difficult to curtail its growth (especially such a lucrative procedure like ESS). Rather than ceasing surgeries, otolaryngologists proclaimed a new disease called “chronic rhinosinusitis” (CRS) to justify using this operation on more patients. Medical experts defined CRS based strictly on symptoms like nasal obstruction, nasal congestion, and postnasal drip, allowing them to declare 10-15% of the population as being “sufferers” of CRS. Before long, experts from the American Academy of Otolaryngology–Head & Neck Surgery, using modern marketing techniques, was aggressively promoting CRS. The Academy announced “2001: A Sinus-free Odyssey,” a campaign that was part of Sinus Awareness Month in March of 2001. Academy members were exhorted to inform the 37 million sinus sufferers in the U.S. that medical and surgical relief was available for their chronic condition. Proponents of ESS claim that the procedure is effective, citing studies “on tens of thousands of patients” that show improvement in patients who have the surgery. But these studies have major flaws – the most egregious being the lack of control groups. Although advocates for surgery assume that CRS will stay the same or get worse over time, patients with CRS in control groups actually get better over time without surgery. So you can make it look like any treatment helps people with CRS as long as you don’t have a control group. The only randomized controlled trial performed, which came out in 2004, found that maximum medical therapy and maximum medical therapy plus surgery work equally well. You can make it look like any treatment helps people with CRS as long as you don’t have a control group. Because of this lack of evidence, specialty guidelines from 2007 and 2015 do not recommend ESS for CRS, nor does the Cochrane Collaborative recommend ESS for CRS without or with polyps. About 365,000 endoscopic sinus surgeries (1.13 per thousand) are, nevertheless, performed in America every year, mostly for CRS. It is also done, usually unnecessarily, for “sinus headache,” “suspected recurrent acute rhinosinusitis,” and various facial pains. This procedure alone costs our health system more than $3 billion a year. Sinus surgery, like all surgeries, comes with risks. The proximity of the sinuses to the eyes and brain means that small mistakes, or even no mistake at all, can lead to grave complications such as blindness, life-threatening infections, and brain damage. This has hurt doctors as well as patients; from 1985-2005, nearly 40% of otolaryngology malpractice payouts were linked to a diagnosis of sinusitis. Why do highly-respected doctors and medical institutions continue to promote a procedure that is ineffective, that is based on bad science, and that causes patients harm? I know many of these doctors, and they are not bad people. But thanks to groupthink, self-delusion, a bit of arrogance, pressure to generate income for their institutions, the subconscious influence of money, adulation, and fame within the specialty, isolation caused by the hierarchical nature of the medical culture, and careers focused on caring for the most difficult cases—they know not the harm they have caused. Sinus surgery is far from the only overused medical procedure. This story plays out in every specialty, to the tune of billions of dollars each year. I believe we need big changes in our health care system to stop harmful and expensive unnecessary care, and I’m not the only one who thinks so. Hundreds of clinicians, patients, and community members have joined together in the Right Care Alliance, a grassroots social movement to bring affordable, effective, and safe medical care to all Americans. We are fighting to stop medical overuse, to ensure that patients are informed of the risks and benefits of their treatment, to encourage evidence-based medicine, and to make people pay attention to the concerns expressed by nurses, doctors, patients and patients’ relatives about suspected unnecessary care. Join us in spreading the word about Right Care, and be a part of the solution.